Turn the oven on and set the temperature to 175°C (or 350°F). 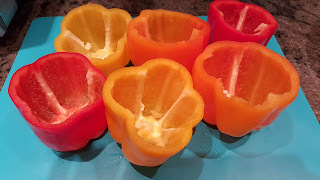 Wash the bell peppers and cut off their tops, removing also the seeds and pith from inside. 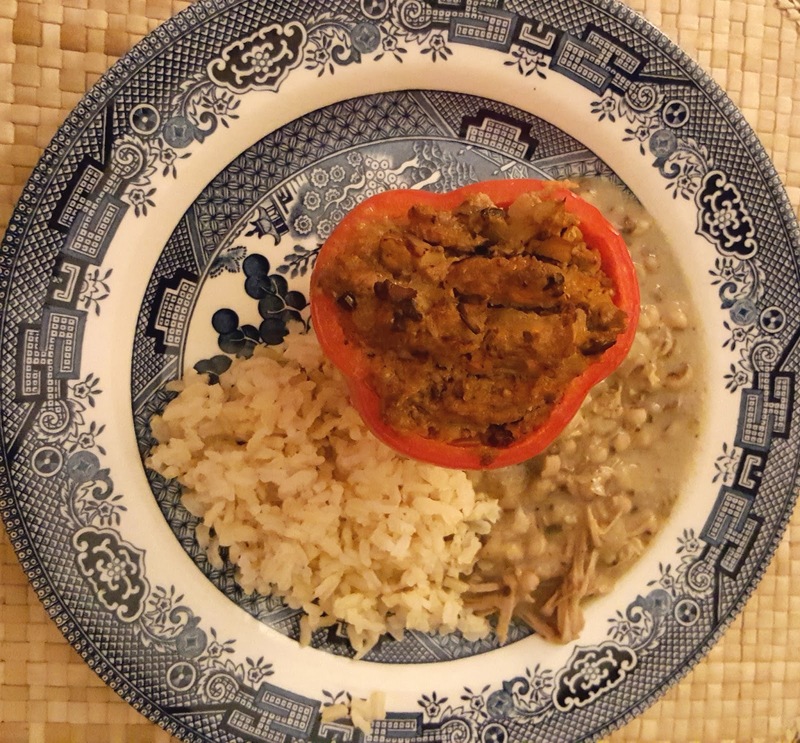 Spray or brush olive oil on the inside of an oven-proof pan or dish that will comfortably hold the bell peppers. Place the bell peppers in the pan, cut sides up. Chop the onion and mushrooms into small cubes. Heat a skillet or large saucepan over medium-high heat and add enough olive oil to coat the bottom. 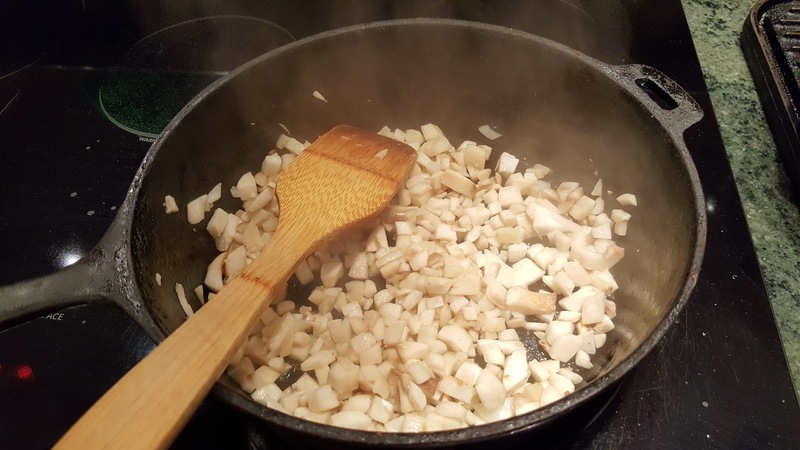 When the oil is hot, add the onion and mushrooms and cook, stirring frequently, until the onion begins to brown. 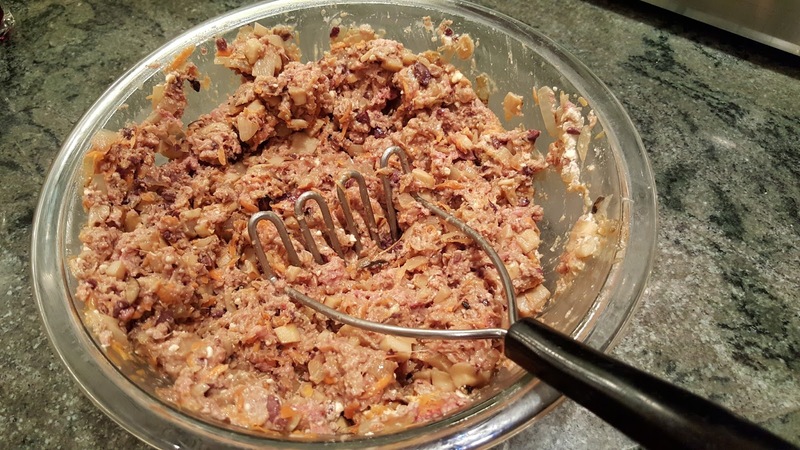 Allow the onion-mushroom mixture to cool. 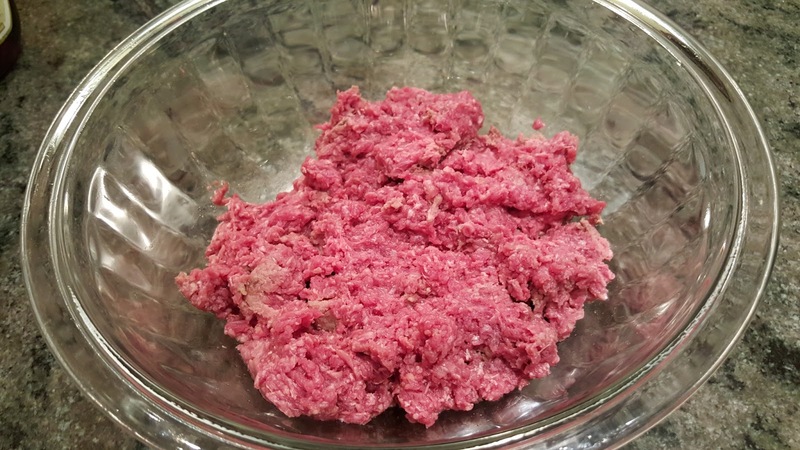 Place the bison meat into a large mixing bowl. Grind the garlic cloves in a mortar with a dash of salt until they become foamy or creamy, then add them to the bison meat in the mixing bowl. Grate the carrot finely, and add it to the mixing bowl. Chop the olives finely, and add them to the mixing bowl. 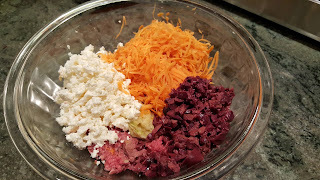 Crumble the feta cheese finely, and add it to the mixing bowl. 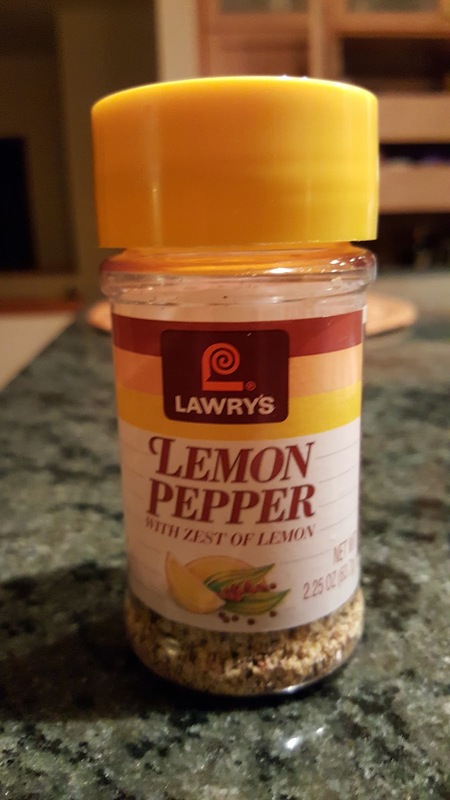 Add the lemon pepper to the mixing bowl. Mash or mix the bison meat with the other ingredients in the bowl. Add the tomato sauce and the egg and continue to mash or mix until all ingredients are evenly distributed throughout. 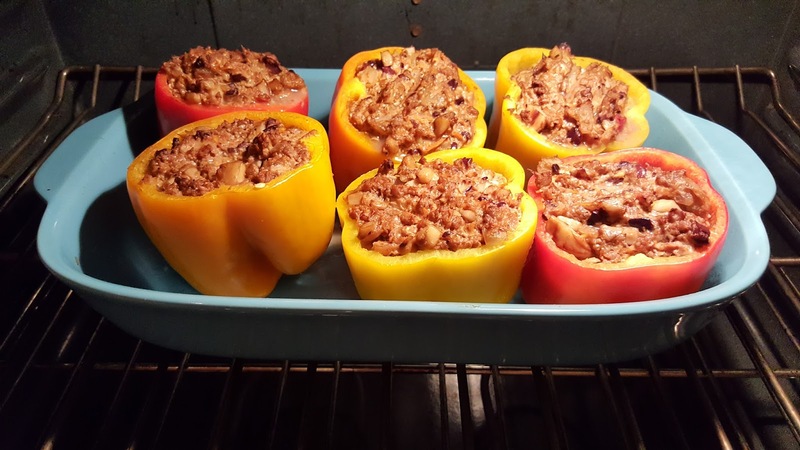 Place one sixth of the bison meat mixture into each bell pepper. 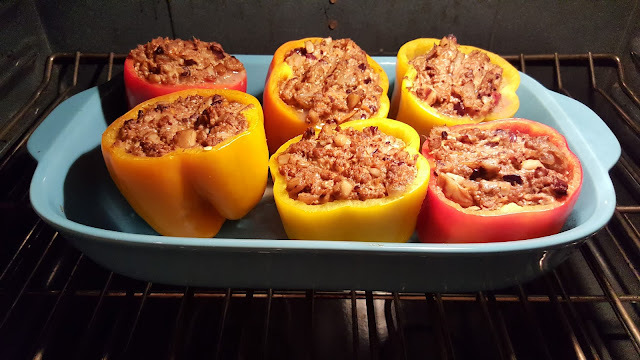 Place the bell peppers into the oven and bake them for 30 minutes. 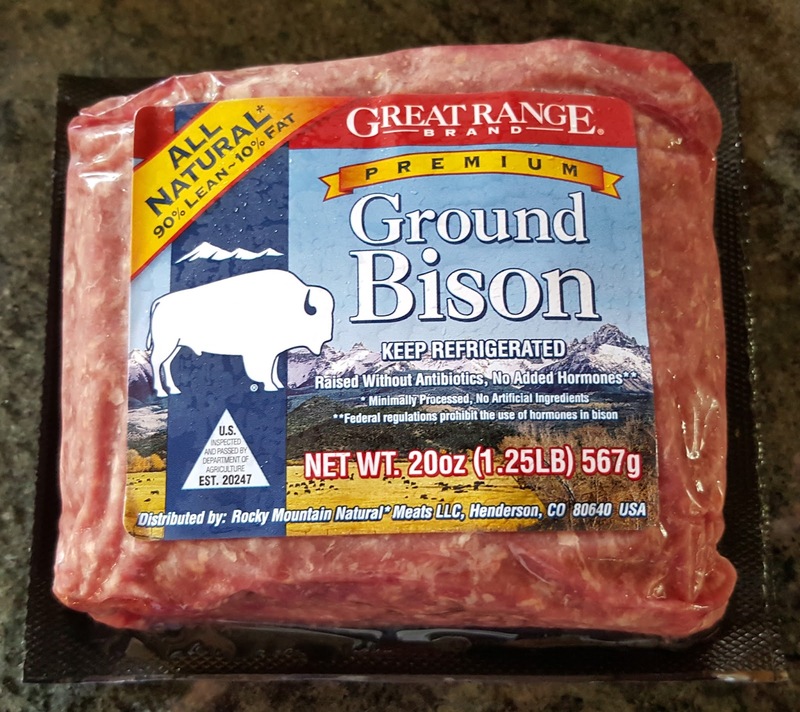 Our local Costco has a small but fairly steady supply of bison meat but, apart from making bison-pork burgers, we have not experimented much with it. I got the idea of stuffing bell peppers with it, and added vegetables, mediterranean olives, and a little feta to give it some pizzaz. Next time, I will dice the tops of the peppers after I behead them, and add those dice to the stuffing. 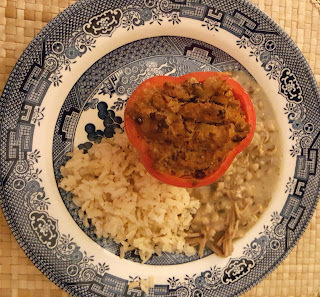 Nevertheless, this was a very pleasant alternative to the same ole same ole beef and rice stuffed peppers.